Finding a job in the British film industry can be difficult and it is a competitive business. There are a number of different ways to kick start a career in the film world but this will of course depend on the career you have in mind. It can be extremely difficult to break into the British film industry and many people do choose to obtain qualifications. There are universities and colleges around the UK offering degrees and courses that can help graduates break into the film industry. The range of jobs available is diverse including acting, film editing, costume design, screenwriting and casting. Media courses in the UK are very popular and competition for these courses alone is great. Local colleges and universities will be the first point of contact and the British Film Institute also holds details of courses. For those who wish to use their own initiative and break into the film industry there is always the option of applying to be a runner. A runner is a person who helps out on film sets; running, fetching and carrying are the main duties of a runner. But this job should not be underestimated as a way to start out a career in the film industry. Working as a runner is a great way to build up contacts within the industry and will bring the employee into contact with a variety of people. Anyone considering this way in, should apply to film production companies both large and independent. 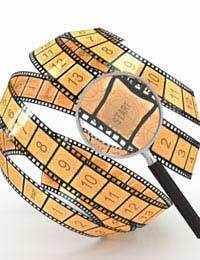 Obtaining experience within the film industry means having on the job training. Take a look at internet job websites such as Craigslist that will have advertisements with jobs available within the film industry. This could mean helping out or even acting in a student film or working as an extra. Most of these jobs will either be very low paid or unpaid but they can be used on a CV to highlight film experience. Again, these types of jobs are great for building up contacts within the film industry. Film extras are vital elements within film sets and this type of work is usually paid. People who live in large cities will usually find more film work taking place and more need for film extras. Acting qualifications or experience are unnecessary and the work can include television as well as film. There are agencies on the internet where anyone considering this line of work can register. Never pay fees to become a film or television extra; there can be some disreputable companies out there. Enthusiasm can go a long way in the film industry. One way of breaking in is to write to film production companies. This can be either the large well known studios or the independent companies. You do need to state that you are willing to do just about any job to break into the industry. Having experience on film sets can be a bonus and any film experience should be highlighted on a CV. Many people have started their careers in the film industry simply by writing to numerous film companies. Those looking for work in the British film industry should use the internet as a job search tool. There is a huge amount of information and many websites that will help job seekers find employment in the job industry. Internet sites such as Shooting People are an invaluable resource for those looking for this type of work. Websites such as these are also invaluable when it comes to meeting and gaining information from others in the industry. The website forums are the best place to ask for advice from professionals and those who have some experience in the film industry. The British film industry is a well regarded name throughout the world but is small in comparison to countries such as America. Getting a job in this industry can be difficult but once you have your foot in the door opportunities can appear. Enthusiasm, especially in the early days, is a prerequisite. Don’t be put off by early rejections as this is par for the course with this type of career choice. Remember that qualifications are available to those who wish to take this route into the British film industry.